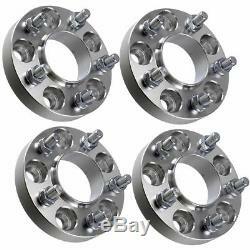 4x Noryb Wheel Spacers for Landrover. Noryb wheel spacers give an additional 30mm width per wheel improving your vehicles stability and looks. Made from light and strong billet aluminium weighing 8kg per set and CNC machined for a perfect balanced fit. Simple to fit, remove existing wheel and fit spacer directly onto hub, then fit your wheel back onto the spacer. Comes with all fitting nuts. Fits all below models/years with standard hubs. Landrover Range Rover P38, 94-01. Pitch Circle Diameter (PCD): 5 x 120, Thread: M14 x 1.5, Center Bore: 70.1mm. We select the carrier at our discretion to suit your order/location, this ensures that you get your goods as quickly as possible. Noryb was established with an aim to provide affordable yet high quality offroad equipment. With over 30 years experience in the offroad industry we have used our expertise and knowledge when researching and developing our products to ensure you wont be disappointed. All products are to be used at buyers own risk, we encourage all users to take the necessary safely precautions when using Noryb products. Noryb can not be held liable for any damages or breakages while fitting or using their products. The item "4x Landrover 30mm Aluminium Wheel Spacers Wide Discovery 2 Range Rover P38 MK2" is in sale since Tuesday, December 12, 2017. This item is in the category "Vehicle Parts & Accessories\Car Wheels, Tyres & Trims\Wheel Spacers". The seller is "noryb_ltd" and is located in Poynton, Cheshire. This item can be shipped worldwide.